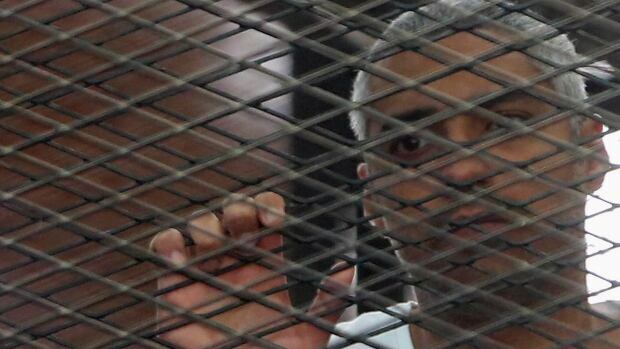 CBC- Imprisoned Canadian journalist Mohamed Fahmy is calling on Prime Minister Stephen Harper to personally ask Egypt's president to release him before an appeal court closes his chance at a retrial. Fahmy, who made the comments in an exclusive interview with CBC's the fifth estate, was arrested last December along with two other Al-Jazeera journalists. He was sentenced in June to seven years in prison on charges of undermining Egypt's security and supporting the outlawed Muslim Brotherhood. His appeal is scheduled for Jan. 1. The interview marks the first time the Canadian-Egyptian dual citizen has spoken about his conviction and his belief that the Canadian government can do more. "We are at the finish line, we’re two weeks away from the appeal and that phone call I desperately need from the Canadian government I need now," Fahmy said. Fahmy said the government should intervene because he is a Canadian citizen with no criminal record. "I've paid my taxes, I have a proven track record of 15 years of journalism and I've acted with complete decency throughout the whole trial," he said. "And my dialogue with the media has never outright attacked or critiqued the Canadian government's stance. But now I'm a desperate Canadian citizen that needs the government to stand by me as much as they can." To protect Fahmy, the fifth estate cannot reveal how it obtained the interview.